The 'thank you' note is an integral part of the interview process. It helps reinforce your best attributes and helps your future boss remember how great you are! We asked a handful of managers and experts about some of the most common 'thank you' note blunders they see when conducting interviews. We created this infographic to break it down into six easy-to-scan pieces. 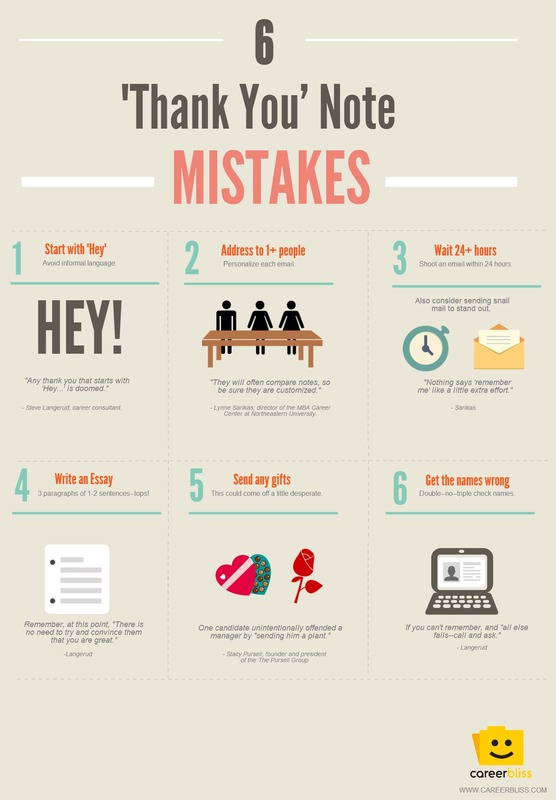 Check it out and save this for the next time you have to send a 'thank you' note to your interviewer!